LET'S PUT CANCER TO BED! 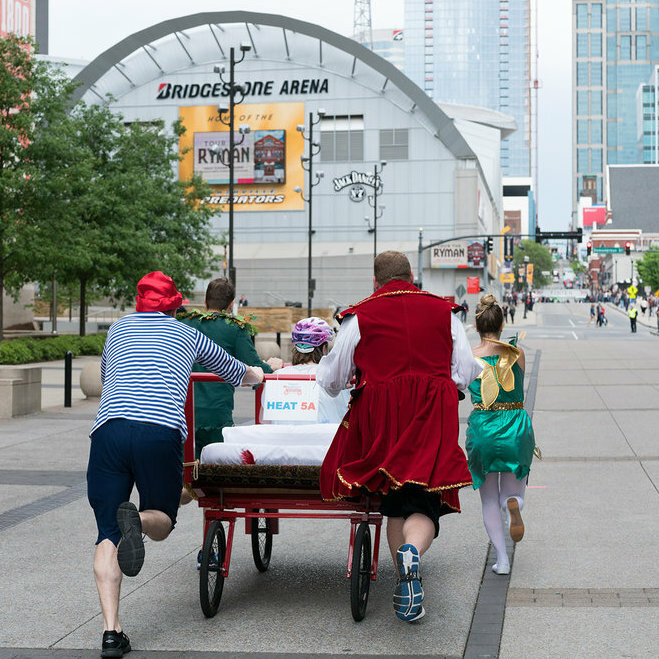 Bed Race Nashville is a competition where teams build and decorate their own “beds” to race all in support of cancer research. Teams that raise the most money can earn “head starts” on race day. The winning team will be presented with a the Winners' Cup at a post-race ceremony. “Best Decorated” and “Best in Spirit” will also be crowned. The "Shining Star" award will be presented to the individual who raises the most money through online fundraising. They will also receive an exceptional gift package. The T.J. Martell Foundation is the music industry’s leading foundation that funds innovative medical research focused on finding treatments and cures for cancer. The Foundation was founded in 1975 by music industry executive Tony Martell and his colleagues in loving memory of his son T.J., who died of leukemia. The Foundation has provided more than $280 million for research at flagship hospitals in the United States. Each team consists of four runners and one rider. Come race with us and put Cancer to Bed! Join us as a Bed Race Sponsor! Choose from multiple packages to showcase your business while supporting cancer research. 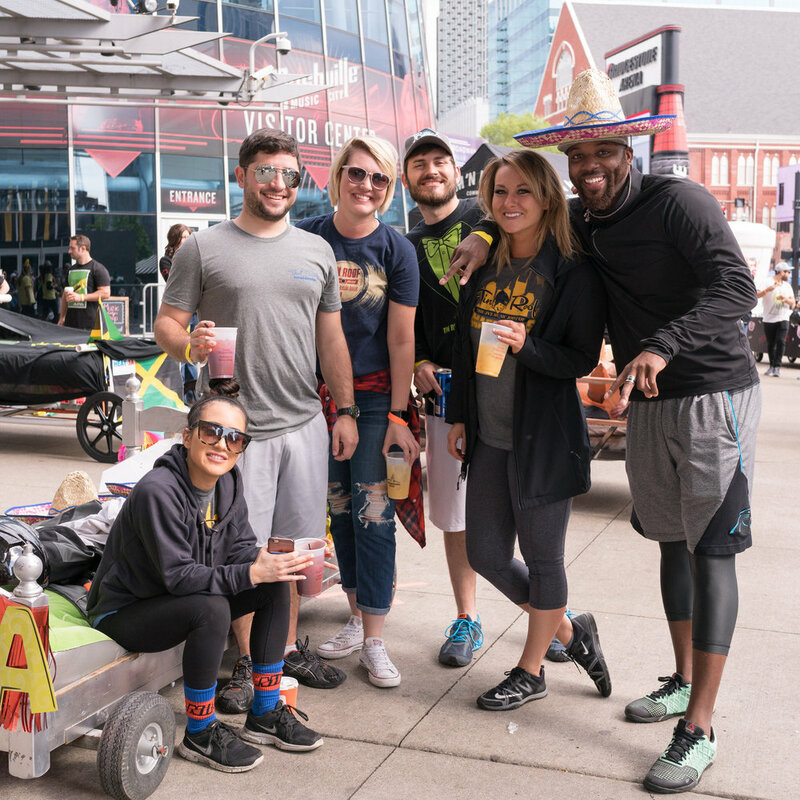 Let us know you’ll be at the Bed Race (and share with your friends) on Facebook. © 2019 T.J. Martell Foundation. All Rights Reserved.